For choreographer William Forsythe, the stage is a large-scale laboratory for boundless theatrical and linguistic investigation. In Sider, the knotty speech rhythms of late-16th-century Elizabethan tragedy form the unlikely point of departure. Dancers, equipped with earphones that play a recording unheard by the audience, deliver fragmented, enigmatic movements based on the cadences and meanings of the sumptuous Elizabethan text. 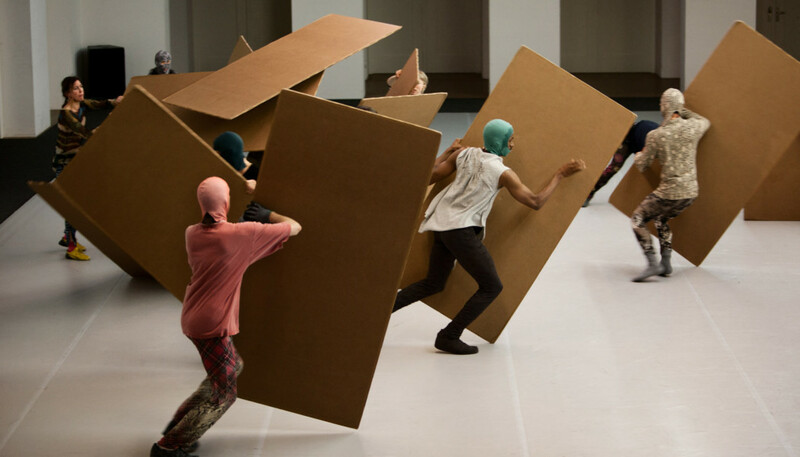 Wielding giant sheets of cardboard, the dancers conjure an array of kinetic imagery and sounds—deepening this beguiling translation and evoking a world in which one language is withheld while another rises to the surface.